April is a crazy-busy month in the life of the College, and especially so for those involved in our teaching mission. End-of-semester projects, theses and dissertation defenses, multiple award programs and final club meetings, campus visits by prospective students, Spring Fest…blink and it is May, final exams, and graduation. This April, on top of the normal academic activity, a number of campus initiatives are coming into focus that will impact and substantially change our academic programs going forward. Motivated by the desire to improve our retention and graduation rates, enhance the student experience, attract high quality students, and respond to the requirements of our state legislature, we will be very focused in academic year 2012-2013 on bringing these initiatives into our College. I will recap the most important of these here. The University Senate has passed a university-wide core curriculum framework that we will need to internalize next year. In addition to the foundational learning outcomes addressed in the core curriculum courses, this core also includes a set of embedded outcomes that our students will meet. At least some of the motivation for this core curriculum is the recently passed SEO 182 (now state law), which requires that state public colleges and universities adopt a common core curriculum. Our state legislature has also mandated in HEA 1220 (now state law) that four-year degree programs at state institutions will be subject to a 120 credit hour cap, unless exempted for reasons such as accreditation. Programs that exceed 120 credits may also propose a justification based on unique employer expectations or unusual program quality or content. Our College will need to review our entire curriculum next year to be in compliance with this new state law. Beyond these changes, the University has been working on a new Honors College structure that will be formalized over the coming year, with the first students admitted in 2013-2014. As most of you know, we have a College honors program and will be working to integrate what we do with this campus-wide initiative. The University has had a very large team working on the first-year student experience through a program called Foundations of Excellence. This program is aimed at making changes that will enhance the experience and support of first year students, and ultimately help retain our admitted students at Purdue. IMPACT is an initiative focused on enhancing the quality of instruction in courses that are large or have traditionally had high failure rates. The academic advising structure of the campus has been the focus of another task force and we will learn more about that group’s recommendations soon. Advising is critically important when it comes to student retention and graduation, and new ideas here will be intended to help make the campus better at advising our students. Finally, we have been participating in a campus-wide Academic Program Assessment that has required a survey of all of our majors and graduate programs. Information on our 28 undergraduate and graduate programs is in the hands of a review committee now, and we will be working with the Provost to understand where we can improve and enhance our academic programs. There has been a lot of very heavy lifting done this year. Many of you have been actively involved in one or more of these groups, making sure the College’s voice was heard in the discussions. My thanks to Paul Schwab, who will be leaving Purdue and heading to Texas A&M this summer, for his very valuable work on behalf of our College on the University Honors College effort and as director of NRES. I know this list will miss many, but I also want to thank Mark Tucker, Joan Fulton, Barb Golden, Lisa Mauer, Frank Dooley, Mike Dana, Tom Turpin, Chris Oseto, Phil Pope, Sherry Pogranichniy, students Kaila Butcher and Gabe Rangel, and Marcos Fernandez and the entire staff of OAP (especially Al Goecker, Lori Pence Barber and Tim Kerr). This group has done a terrific job representing our College and deserve our thanks! My thanks also go to Chuck Hibberd and George Van Scoyoc, who are working at the University level on the Academic Program Assessment task. We will be focused on implementing many of these ideas next year. Our College’s first-year retention rate of 88% is slightly lower than the university average of 90.2%, and our four-year graduation rate at 48.6% is ahead of the university’s 42.4%, so we are on track to make progress in these areas. In many cases, our College has a running start because we already have a core curriculum; we already have an honors program; we reviewed our academic programs a year ago in our ‘Can Less Be More’ initiative; etc. That said, we have a great opportunity in 2012-2013 to bring some new ideas and fresh thinking into our curriculum as we make these university-wide initiatives our own. There is no question that this will be real work, but it is also a chance to think deeply about what Agriculture curriculum will prepare a student for a career in 2020. Our College has always been on the leading edge of curriculum development, and I fully expect that is where we will be in May 2013. I wish each of you the best as you wrap up your semester – and I hope you can all come out and enjoy Spring Fest! Associate Deans Karen Plaut and Chuck Hibberd and Dean Jay Akridge send their thanks to all who participated in the visit by the NIFA Civil Rights Compliance Review team in late March. The team interviewed over 100 people while they were on campus, and they were impressed with the uniformly friendly and professional manner with which the review was treated and the candid conversations they were able to have. One of the very positive aspects of the review is that it not only allowed the review team to assess where we are with regard to diversity issues, but it has illuminated for us areas where we can improve. In approximately 90 days, the assessment team will send us its report and recommendations, and the insights we will gain from this review will make us a better College. A program that takes field trips to the classrooms of thousands of elementary and middle school students across the country has been selected to receive this year's Purdue Agriculture TEAM Award. Purdue zipTrips started in 2007 through a grant from the Howard Hughes Medical Institute to J. Paul Robinson in Purdue's College of Veterinary Medicine The zipTrips team develops and delivers electronic field trips to students in Indiana and dozens of states, as well as a few schools abroad. The programs connect pre-kindergarten through 12th-grade students with Purdue scientists in real time through interactive videoconferencing and web streaming technology. The zipTrips content meets state and national science standards in comparative biology. Indiana Lieutenant Governor Becky Skillman offered sage advice to Purdue College of Agriculture students when she spoke as this semester's Learning from Leaders guest on April 3. The first woman elected as Indiana’s lieutenant governor culled advice from her many years in leadership in county government, in the state Senate and as the No. 2 executive in state government. Learning from Leaders, started in 2010, connects leaders to students and faculty to expand students’ understanding of issues involving contemporary leadership. Dr. Robert Paarlberg, B. F. Johnson Professor of Political Science at Wellesley College and Adjunct Professor of Public Policy at the Harvard Kennedy School, will present the 38th Annual James C. Snyder Memorial Lecture on Wednesday, April 18 at 3:00 p.m. in the Krannert Auditorium. The title of his lecture is "The Culture War in Agriculture: Who's Winning?" Dr. Paarlberg’s principal research interests are international food and agricultural and policy. He has been a member of the Board of Agriculture and Natural Resources at the National Research Council of the Na-tional Academies, and a consultant to USAID, IFPRI, COMESA, the Bill and Melinda Gates Foundation, and the World Bank. Jenna Rickus, ABE; Catherine Hill, Entomology; and Paul Collodi, Animal Sciences are among ten Purdue researchers who received a total of nearly $500,000 in the most recent rounds of awards through the Trask Innovation Fund. The Purdue Research Foundation-managed Trask Innovation Fund is a development program to assist faculty who have disclosed a discovery to the Purdue Office of Technology Commercialization and are close to commercializing the discovery. "The Trask Innovation Fund is an important resource for Purdue researchers who are in the final stages of moving a discovery to the market but need short-term funding to finalize the research they have already conducted," said Joseph B. Hornett, senior vice president, treasurer and COO of the Purdue Research Foundation. "The Trask fund can be used to develop a prototype or compile data that demonstrates the commercial strength of an invention that makes a technology more marketable." Nominations are being sought for the College of Agriculture Business Office Service Award, which is given to recognize the significant efforts of business office employees who consistently exert effort above and beyond to help accomplish the College’s strategic goals. Please send nominations to Cherise Hall in AGAD or email cherise@purdue.edu by Wednesday, May 9th. Past awardees include: Kathy Moore, Amy Wright, Liz Rausch, Theresa Baker, and Lynn Grimes. Nominations are welcome from all employees and students in the College! Jeff Dukes, Forestry and Natural Resources; Ann Kirchmaier, Biochemistry; and Jianxin Ma, Agronomy have been selected as 2012 University Faculty Scholars. The University Faculty Scholars Program recognizes outstanding faculty members at the West Lafayette campus who are on an accelerated path for academic distinction. Eligible faculty must hold the rank of tenured associate or full professor and have been in that rank for no more than five years. Faculty Scholars are appointed for a nonrenewable five year term and receive an annual $10,000 discretionary allocation. The Purdue Improved Cowpea Storage (PICS) Team, led by Larry Murdock, Entomology, received an International IPM Award of Excellence at the 7th Annual International IPM Symposium in March. Integrated Pest Management (IPM) is an umbrella term covering a wide variety of tactics in agricultural, residential, and wilderness areas. The central ideas include using the least toxic methods, tolerating harmless pests, and working with natural mechanisms to manage pests. Paul Schwab, Agronomy, Learning Community Instructor for the Environmental Sciences Learning Community, is the winner of the 2012 Learning Communities Advocate Award. The award is presented each year to a Learning Community Instructor (LCI) who has demonstrated uncommon commitment and has gone above and beyond the expectations inherent in leading a Learning Community. From a field of 93 LCIs, Dr. Schwab was identified by his students as a particularly passionate and dedicated leader. Lori Snyder, Agronomy, has been selected as one of four recipients of a 2012-2013 Community of Service Learning Faculty Fellows Grant. According to Suresh Garimella, associate vice president for engagement, she will work alongside the campus Service Engagement Advisory Board (SEAB) and the Center for Instructional Excellence to build a community of Service Learning faculty leaders. The 2012-2013 cohort will bring the Community of Service Learning Faculty Fellows to a total of 40. Liza Braunlich, Center for Food and Agricultural Business in the Department of Agricultural Economics, is the recipient of the 2012 Award for Excellence in Distance Learning for CAB's program "Syngenta myCrop: Introduction to Agronomics." The award will be recognized at the Faculty Awards Convocation on April 26. Scott Gabbard, Purdue Extension Shelby County; Jeff Jones, Purdue Extension Marion County; Danica Kirkpatrick, Ag Administration; Tamilee Nennich, Animal Sciences; and Jiqin Ni, ABE have been accepted into Class 15 of the Indiana Agricultural Leadership Program (ALP). A cornerstone program of AgrIInstitute, ALP provides individuals involved in agriculture and related industries and those who serve rural communities with the opportunity to improve leadership skills, gain understanding and develop the expertise needed to provide leadership in public affairs for their businesses and communities. ALP is a highly acclaimed professional development opportunity for leaders at all career stages, and is celebrating more than 25 years of building leadership capacity. Wright Frazier, Ag Communication, and Marilyn Moore and Ben Fox, Ag IT, all received "Thumbs Up" recognitions for their great work in preparing the College of Agriculture web site for the NIFA civil rights compliance review in March, as well as guidance on a wide variety of web-related questions and tasks. Wright, Marilyn and Ben put aside everything else on their very long to-do lists to help us meet our deadline for the civil rights review site, and their responsiveness and helpfulness are very much appreciated. Kimber Nicoletti, Director of Multicultural Efforts to end Sexual Assault (MESA) in the Department of Youth Development and Agricultural Education, was featured in Purdue Today's special Women's History Month section on women who have made their mark at Purdue and on the world around us. MESA is a statewide sexual violence prevention program committed to preventing sexual violence in multicultural communities. In her work with MESA, Kimber conducts sexual violence prevention education, outreach and services to underserved communities that include Latina, Native American, immigrant/refugee, migrant farm worker, African-American/Black and other underserved communities on campus and across the state. Alyssa Haithcox, a junior studying Animal Sciences with a concentration in Pre-Veterinary Medicine, has been elected National MANRRS Vice President for Region 5. MANRRS is the student group Minorities in Agriculture, Natural Resources and Related Sciences. Alyssa is the current president of the Purdue MANRRS chapter and is conducting research with Dr. Karen Plaut investigating ketosis in transition dairy cattle. She is also a Food, Engineering, Environment, and Life Sciences (FEELS) Fellow. Sean Kearney, a junior studying in agricultural and biological engineering, recently won one of 282 Goldwater scholarships given nationwide this year. Sean, who works closely with Dr. Jenna Rickus, is the only Purdue student to receive a Goldwater scholarship this year. Joe Rust, a sophomore majoring in agribusiness management, has been elected Purdue Student Government president, leading his competitors by more than 1,000 votes. Student athletes Ishmael Aristide and Rob Henry came in second, collecting 1,144 votes. PSG members Brianna Castle and Mike Cross received the third-highest number of votes with 948. 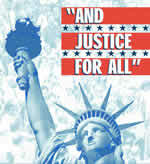 As president, Joe said, he hopes to move forward with the plans for free student legal services. His running mate, Lexi Hiland, said the creation of a 24-hour study area is also a priority. Joe said his biggest hope for his presidential term is to increase the connection among students on campus. Joe will be inaugurated as president on April 27, and his term will run until April 2013. Jackson Troxel, a senior majoring in ag economics, has been named to the Ag Futures of America (AFA) Student Advisory Team for 2012-2013. The AFA Student Advisory Team serves as organization ambassadors, assists staff in the planning and facilitation of the AFA Leaders Conference and related events, and acts as student advisors for the organization. Members of the Student Advisory Team will experience team leadership and interaction, media and communications training, interaction with corporate and association leaders, public speaking training and experience, exposure to career opportunities and are eligible for an AFA academic scholarship. The work of volunteers in southern Indiana communities torn apart by March tornadoes has shifted in emphasis from picking up the pieces to rebuilding homes and repairing lives. People with construction skills and the ability to manage the case work are among those who are needed to help communities return to normal through long-term recovery, said Steve Cain, Purdue Extension disaster specialist and president of Voluntary Organizations Active in Disaster, a multi-organization network of people who respond to disasters. As president of VOAD, Cain coordinated the efforts of thousands of short-term recovery volunteers. A committee, called March2Recovery, has been organized to coordinate the long-term recovery efforts, which will involve managing volunteers, construction and donations, among other needs. Cain will serve as a consultant in this effort. Chemical additives that help agricultural pesticides adhere to their targets during spraying can lead to formation of smaller "satellite" droplets that cause those pesticides to drift into unwanted areas, Purdue University researchers have found. Carlos Corvalan, an associate professor of food science, said understanding how the additives work together means they could be designed to decrease the health, environmental and property damage risks caused by drift. Corvalan; Osvaldo Campanella, a Purdue professor of agricultural and biological engineering; and Paul E. Sojka, a Purdue professor of mechanical engineering, published their results in a February issue of the journal Chemical Engineering Science. The latest version of the Purdue University Extension guide on successful home fruit production may be a valuable tool in helping homeowners decide on which trees or small fruit they want to invest in this spring, as well as proper care to ensure productive harvests. 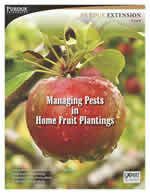 Managing Pests in Home Fruit Plantings is a guide for homeowners on how to choose the best varieties for themselves. It then focuses on different techniques to manage diseases and insects in home fruit crops such as apples, peaches, pears, plums, cherries, grapes, strawberries, blueberries, blackberries, gooseberries currants and raspberries. The guide will help homeowners properly manage the health of their fruit plants or trees using the cultural techniques to minimize pests, as well as appropriate pesticides, fungicides and other disease deterrents, including information on how and when to use the proper pesticides to manage the most common problems homeowners face. It has also been updated to include organic pest management options, when available. Srinivas Janaswamy, research assistant professor of food science, has developed a way to encase nutritional supplements in food-based products so that one day consumers might be able to sprinkle vitamins, antioxidants and other beneficial compounds right onto their meals. He said many of the nutraceuticals, or nutritional supplements, added to foods today are not structurally stable. Heat, light, oxygen and other external factors could degrade the supplements, rendering them ineffective. "There are many methods for adding nutraceuticals to foods, but the one thing they all have in common is instability due to non-rigid structures," said Janaswamy, whose findings were published in the journal Food & Function. A database of worldwide economic information used to evaluate trade agreements between nations has been expanded to include data from 15 more countries in an updated version just released. The Global Trade Analysis Project, a global network of researchers and policy-makers who analyze international policy issues, includes data on bilateral trade patterns and production, consumption and intermediate use of commodities and services. It is used by governments, international institutions, the private sector and economists at universities. The database began 20 years ago with information on 13 countries. With the release of GTAP 8 Data Base this month, it now has data on more than 120 countries. "The new release is significant because it brings in many new countries, including a big part of the Middle East," said Thomas Hertel, executive director of the center and a distinguished professor of agricultural economics. Later-stage cancers thrive by finding detours around roadblocks that cancer drugs put in their path, but a Purdue University biochemist is creating maps that will help drugmakers close more routes and develop better drugs. Kinase enzymes deliver phosphates to cell proteins in a process called phosphorylation, switching a cellular function on or off. Many successful cancer drugs are kinase inhibitors, which block the ability of a kinase to bind with a particular protein on the cell, stopping phosphorylation and the creation of cancer cells. W. Andy Tao, a Purdue associate professor of biochemistry and member of the Purdue University Center for Cancer Research, said that in later stages of cancers, kinase-inhibiting drugs are ineffective because the kinases adapt, finding new protein targets and forming new cancer cells. He believes that creating maps of all the potential routes for cancer cell formation is a key to developing better cancer drugs. A statewide creativity contest for youth and a show of solidarity involving the color purple are two ways a Purdue-affiliated organization will celebrate National Month of the Military Child in April. Indiana Operation: Military Kids (OMK), a program of the Purdue Cooperative Extension Service and Indiana 4-H Youth Development, is sponsoring the contest and an initiative called "Purple Up! For Military Kids." The initiative encourages Hoosiers to wear purple -- which represents all branches of the United States military -- on April 13 to show support for military children. Indiana OMK also will pass out 400 purple Month of the Military Child buttons at Spring Fest on April 14 and 15. At Spring Fest, the program also will promote its resources and allow visitors to make cards for military members. Indiana OMK will be located at the 4-H Youth Development table. A compound found in red wine, grapes and other fruits, and similar in structure to resveratrol, is able to block cellular processes that allow fat cells to develop, opening a door to a potential method to control obesity, according to a Purdue study. Kee-Hong Kim, an assistant professor of food science, and Jung Yeon Kwon, a graduate student in Kim's laboratory, reported in the Journal of Biological Chemistry that the compound piceatannol blocks an immature fat cell's ability to develop and grow. While similar in structure to resveratrol – the compound found in red wine, grapes and peanuts that is thought to combat cancer, heart disease and neurodegenerative diseases – piceatannol might be an important weapon against obesity. Resveratrol is converted to piceatannol in humans after consumption. Purdue University finished in the Final Four of the inaugural “March Madness” national tournament for environmental and sustainability academic excellence. The contest was sponsored by Enviance, Inc., a global company specializing in environmental and regulatory risks, and Environmental Leader, a daily energy and environmental trade publication. Colleges and universities were ranked by a group of distinguished environmental science professionals based upon the schools’ dedication to the study and practice of sustainability. Purdue advanced to the Sustainable Sixteen on March 12, along with colleges such as Cornell University, Duke, Ohio State, University of Florida, University of California (Davis), Colorado State University, Rochester Institute of Technology, and Colby College of Maine. On Friday March 30, Purdue was announced as member of the Final Four along with Colorado State, RIT, and the eventual winner, Colby College. Purdue will be home to a new research institute dedicated to research and education focused on improving women's health issues through prevention of chronic diseases such as cancer, bone health and Alzheimer's disease, university officials announced on March 23. Bone health, neurodegenerative diseases, women's cancers and wellness are key areas the institute will target through research collaborations, funding and supporting pilot projects, as well as training graduate students and researchers. Connie Weaver, head and distinguished professor of nutrition science and a member of the Institute of Medicine, will lead the new institute. The College of Health and Human Sciences co-sponsors the institute with Discovery Park. Students in a Purdue service-learning program have developed an application for the iPad that helps children with severe autism learn how to communicate. The app, called SPEAKall!, allows the children to construct sentences by choosing photos and graphic symbols. The app speaks the sentence, which allows a child to communicate a thought and also helps the child learn to talk. Launched in November on iTunes, the free app has been downloaded almost 3,300 times. Nominations are now being accepted for this year's Community Spirit Award, which seeks to recognize Purdue employees' outstanding service to the community, society and humanity. Administrative, professional, clerical and service staff members are eligible for the award, says Bob Morman, vice chair of the Administrative and Professional Staff Advisory Committee (APSAC). 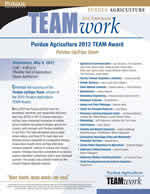 APSAC and the Clerical and Service Staff Advisory Committee (CSSAC) created the award in 2011. Nominations are open through May 31. Any organization or individual on or off campus may submit a nomination. Nominees should set a high standard for service, encourage a sustained commitment to civic participation and inspire others to make service a central part of their lives. Purdue University will dedicate a recently opened building, detail plans for several future buildings, mark the opening of a new library and celebrate the 10th anniversary of Discovery Park during the last two weeks of April. Marriott Hall, the new home of the School of Hospitality and Tourism Management, will be dedicated at 1 p.m. April 17. A celebration for three structures in the new Life and Health Sciences Park will be at 11 a.m. April 18 in Stewart Center. The three buildings are Lyles-Porter Hall, the Drug Discovery Building and a multi-level parking structure.